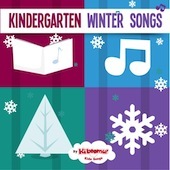 Get your kindergarteners rockin' to all the winter holidays from Christmas to St. Patrick's Day! 1. Hello, Hello How Are You? 10. Did You Ever See A Penguin? 5. Oh Hanukkah Is Here (Chanukah Song) 14. Do You Know The President?